This combination of herbs has traditionally been used to help combat cold and/or flu symptoms, including fever. It may also shorten illness duration. 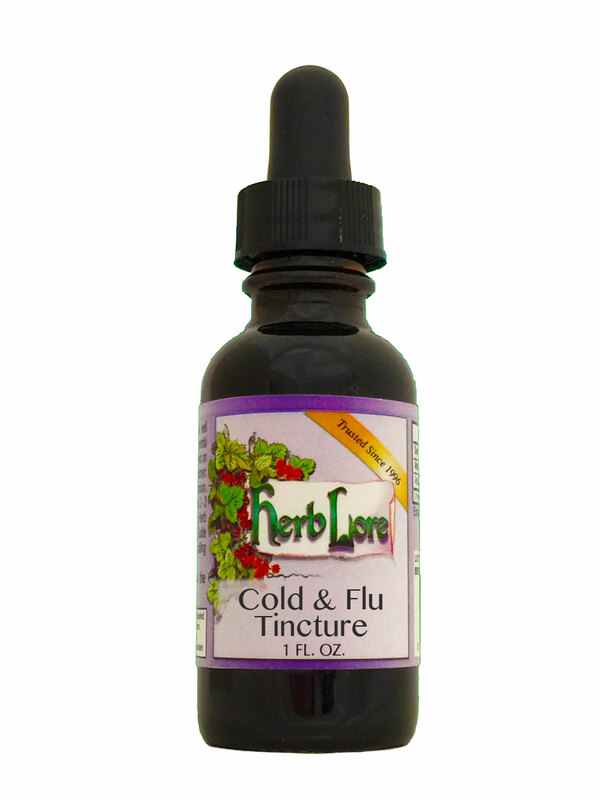 Herb Lore's Cold & Flu Tincture is great for use in combination with Echinacea. The non-alcohol version is recommended for children. Note: Not for use during pregnancy. See our list of Herbs to Avoid During Pregnancy and Lactation in the More Information section.